Ok, so today we started off by making muslins from the asymmetrical patterns we designed yesterday. 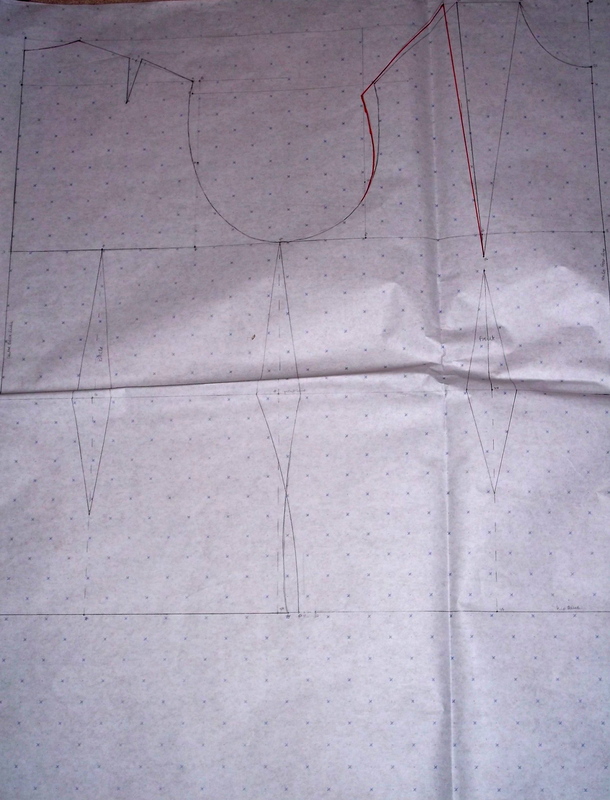 I like quite simple lines on my clothing – not too much gathering or flounce, especially around my legs which I just can’t stand (no pun intended) – so I drew the following shape and transferred all the markings to my pattern. I diligently cut out the pieces, added my seam allowances, sewed it all together, clipped and notched the seams and pressed it to get…a skirt that looked like any other. Obviously if I’d made this in a striped or patterned fabric it would look much different. C’est la vie! It worked out well and I’ve learned a technique I can and will use again and again. 1. Draw a line from where you want your new dart to be to the bust point of the existing dart. 2. Cut down this line. 3. Fold out your existing dart. 4. folding out the existing dart will open up a new dart where you want it to be! Really readers, this is so simple I can’t believe I’d never done it before! 2. On the front, move your neckline dart to the shoulder using the method outlined above. 3. Gently curve to join the two dart points as shown. 4. fold your darts to get corresponding points and mark these points with notch marks as shown. 5. Unfold your darts and remove them. 5. Cut right through bodice and smooth out any points. 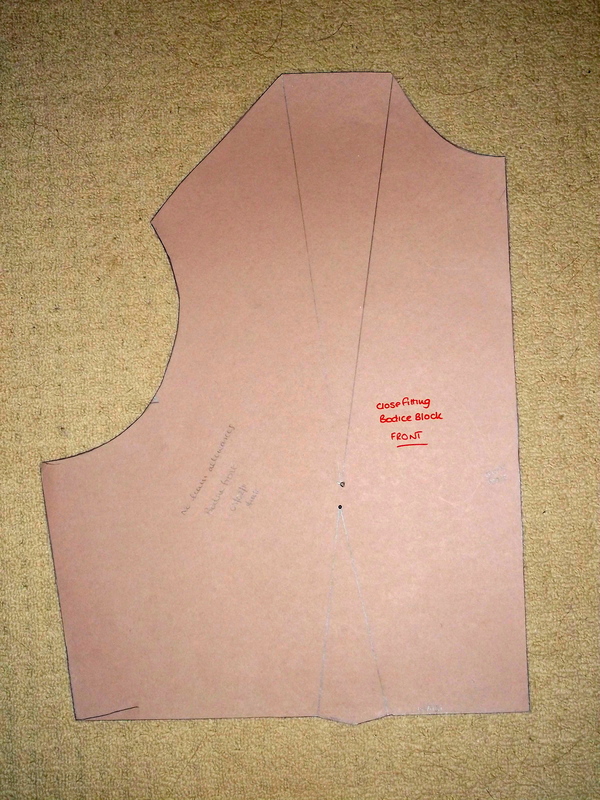 Remember to add what you’ve taken from one side of the bodice onto the corresponding side as shown. 6. On the back, curve between the two bust points. Cut and smooth the points as above. You now have a princess seam bodice! And that was it for today. We did quite a lot and I’m starting to get thumbache from using scissors all day long. It’s all worth it though, for sure! This sounds like a great class. I’ve done a skirt block but I really wanted to try to make a bodice block. I’d really recommend that “metric pattern cutting book” for that, Liza Jane. It’s really clear. Just make sure you have a pretty savvy friend who can measure you, and definitely time some twine around your waist (not too tight!) to get some accurate measurements. Don’t do what I did the first time I attempted it myself and really overestimate the measurements: you’ll basically end up wearing a sack with a hole in the top! That Winifred Aldrich book is the one recommended on my pattern cutting course too! So it must be good!